I'm an Australia-based freelance writer and journalist. For the previous five years, I've been creating in-depth content and feature articles for a number of prominent food, travel and lifestyle publications including SBS Food, Treadlie and Paper Sea. I've also previously worked as the editorial assistant for sustainable housing publication Assemble Papers. In addition, I've produced a range of sponsored content and creative copywriting for leading Australian culture publication, Concrete Playground. Here, I've worked to briefs from brands such as American Express, Mazda, City of Sydney, Jetstar and QT Hotels. 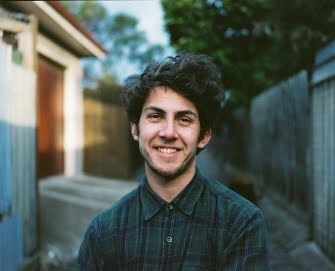 I'm currently a feature writer for Australian photography brand and blog, GOBE. Arctic Farming has been around in some form since the 10th century, but as the permafrost melts it’s becoming a viable and sustainable food source for the Earth’s northern communities. 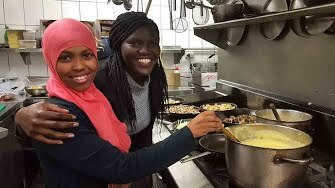 Meet the Melbourne organisation that's using food to build connections and understanding. Opened in 1975 by Joe and Vicky Aiello, Flower of Sorrento is a hidden diamond in the inner-northern Melbourne suburb of Clifton Hill. Now run by the couple's children, Flower of Sorrento has withstood the demise of similar stores in the area, remaining a favourite among locals thanks to its enduring and indispensable charm. Since 2013, Melbourne community garden initiative 3000 Acres has been enabling residents to better access to their city by activating underutilised spaces in urbanised environments. Founded by landscape architect Kate Dundas, 3000 Acres was inspired by a similar New York-based initiative, and has found unique regenerative potential in the grey areas, nooks and crannies of Melbourne’s ever-adapting urban fabric. Founded in 2009 by scientist-turned-social entrepreneur Bec Scott and her partner Kate Barrelle, STREAT has made a name for itself as a social enterprise that works with homeless and at-risk youth to introduce a sense of belonging through personal and professional development in a hospitality setting. Hudson Brown sits down with Bec to hear the story behind STREAT's success.